Saudi Arabia’s powerful Crown Prince has said the case of Jamal Khashoggi was “painful” and a “heinous crime that cannot be justified”, following the Saudi journalist’s killing at the country’s consulate in Istanbul. 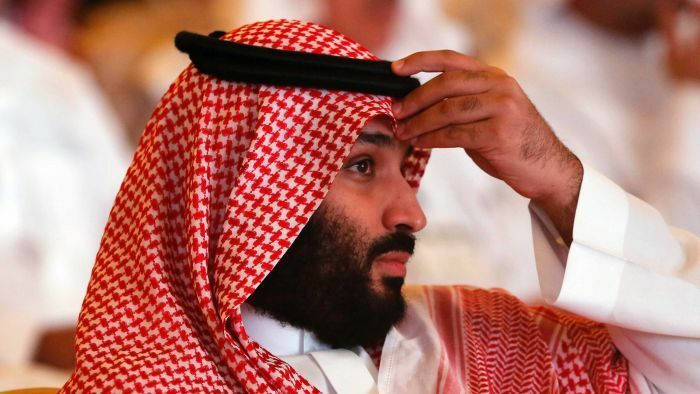 Appearing on a discussion panel at an international investment conference in Riyadh, Crown Prince Mohammed bin Salman said all culprits would be punished, and Saudi Arabia and Turkey would work together “to reach results”. “The incident that happened is very painful, for all Saudis … The incident is not justifiable,” he said. Hours earlier US President Donald Trump, in his toughest comments about the matter yet, told the Wall Street Journal the Crown Prince bore ultimate responsibility for the operation that led to Khashoggi’s killing. Mr Trump said he wanted to believe Prince Mohammed when he said that lower level officials were to blame for the killing at the Saudi mission. Turkish officials say a 15-man Saudi team killed the writer at the Saudi Consulate in Istanbul. A member of Prince Mohammed’s entourage was allegedly at the consulate at the time. Prince Mohammed’s comments Wednesday came at the Future Investment Initiative in Riyadh. This year’s summit has been overshadowed by Khashoggi’s killing on October 2.